Topics: Name, Last Modified, Size, Modules, and Pics. Its 2 nameservers are ns2.foxtrot.xnoc.net, and ns1.foxtrot.xnoc.net. 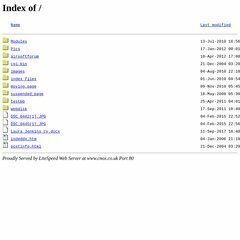 Its web server is located at X-ip Sh Rs (England, Sheffield.) Its IP Number is 193.238.80.75.